30N6E “Flap Lid” is an I/J-Band multi-function phased-array trailer-mounted engagement radar with digital beam steering for use with the SA-10 “Grumble” theatre defence missile. The operators and command staff for the SA-10 are positioned in a cabin to the rear of the radar cabin. Flap Lid, like the AN/MPQ-53, uses a 10,000 element transmission type of space feeded phased-array, with a complex monopulse horn feed into the rear plane of the antenna, using a microwave lens. The Flap Lid's antenna stows flat on the roof of the radar cabin, which was initially deployed on a trailer towed by a Ural-357, KrAZ-255 or KrAZ-260 6x6 tractor. The whole radar cabin is mounted on a turntable and used to slew the phased array to cover a 60 or 100 degree sector of interest. 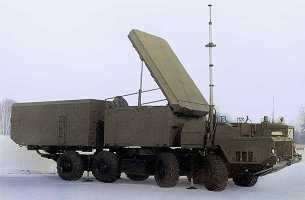 There are two versions of this radar, Flap Lid A and Flap Lid B. Flap Lid A is associated with the deployable SA-10A variant of the “Grumble” missile and takes the form of a trailer-mounted, semi-mobile equipment. 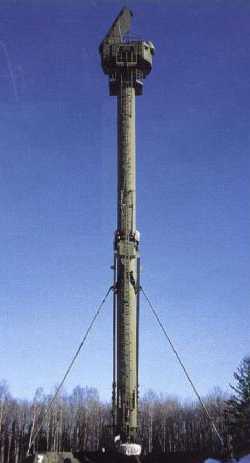 The Flap Lid A antenna is mounted on a tower to increase the radar's effectiveness against low-flying targets. Flap Lid B, which is truck mounted, supports the fully mobile SA-10B version of the missile which appears to be designated as the S-300 air defence system (Russian designator: 90Ж6). Within the SA-10 system, Flap Lid is used in conjunction with the Big Bird surveillance and Clam Shell target identification/location radars. Flap Lid provides for the simultaneous tracking of six targets with each of these being engaged by two missiles. It is stated that the radar is highly resistant to electronic countermeasures and has a high-resolution capability. Missile guidance is similar to the US Patriot system in that it is by track-via-missile type. Flap Lid has a target elevation coverage reported to be from 0 to 50º, but is believed to have been modified to provide cover up to 75º for ballistic missile defence. Figure 2: 30N6E1 on 40V6M tower.